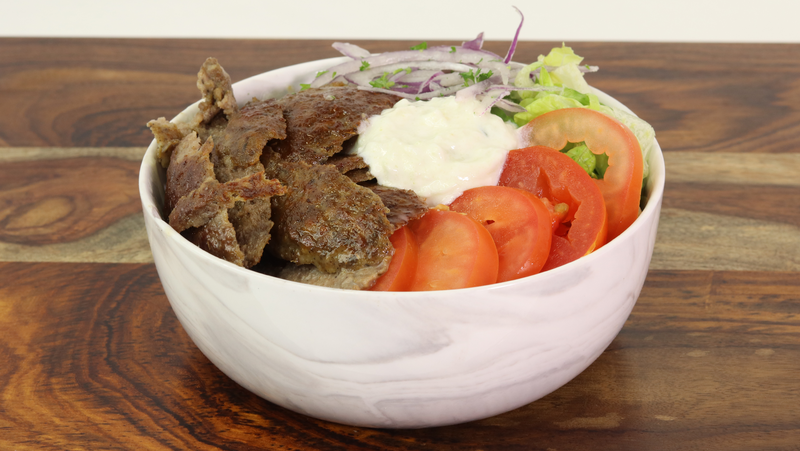 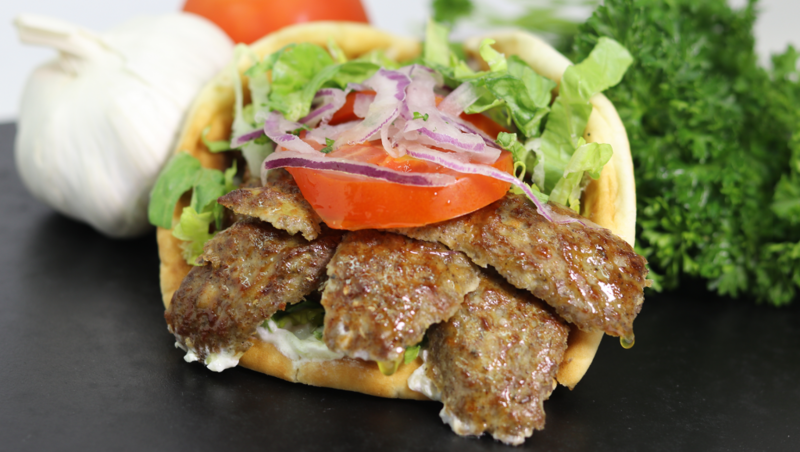 Australian Grass-fed lamb, homemade tzatziki sauce, organic lettuce, tomato, red onions, served on a fresh hot pita. 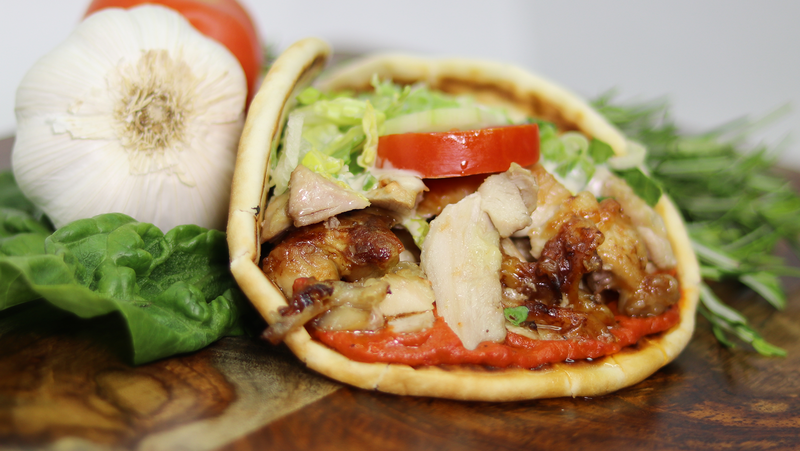 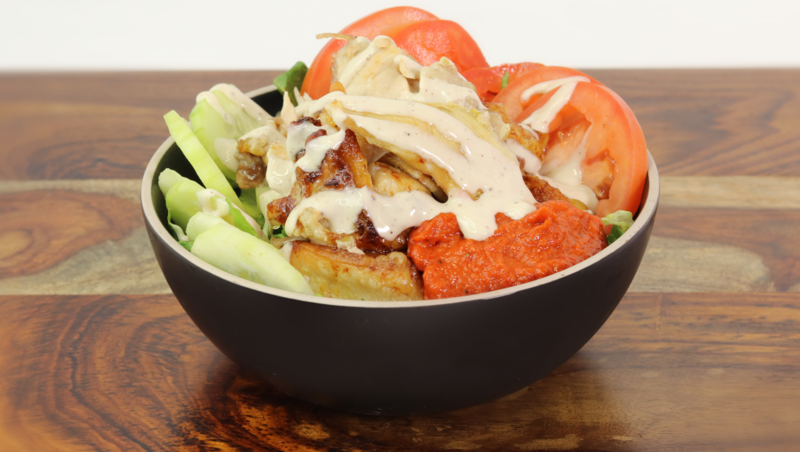 Mary’s Farm Free-Range chicken, homemade paprika and tahini sauces, organic lettuce, tomato, cucumbers, served on a fresh hot pita. 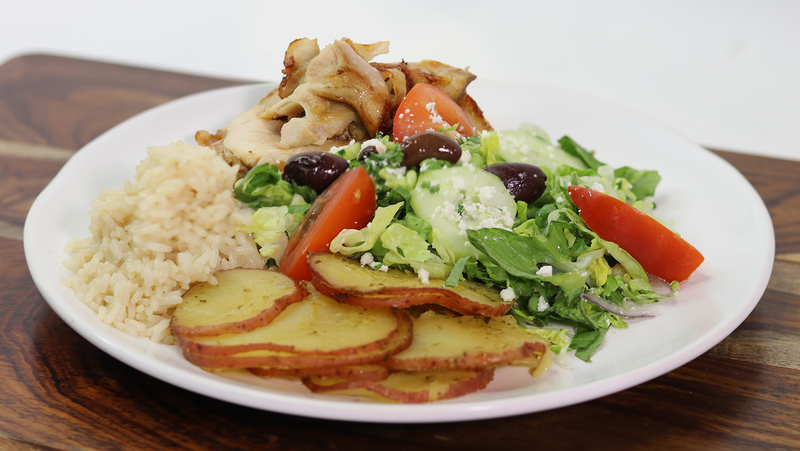 Served with a Greek salad, side of vinaigrette, your choice of Mediterranean Potatoes or Citrus Rice, Mary’s Farm Free-Range chicken. 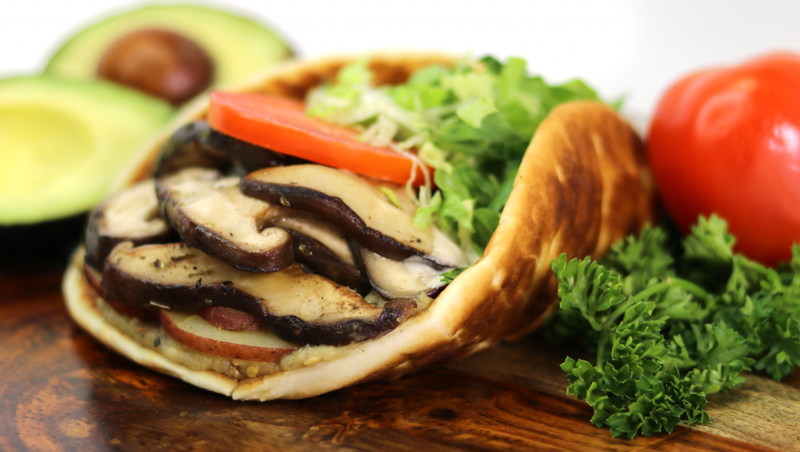 Organic sautéed oyster mushrooms, homemade tahini and eggplant sauces, organic lettuce, Greek potatoes, tomatoes, served on a fresh hot pita. 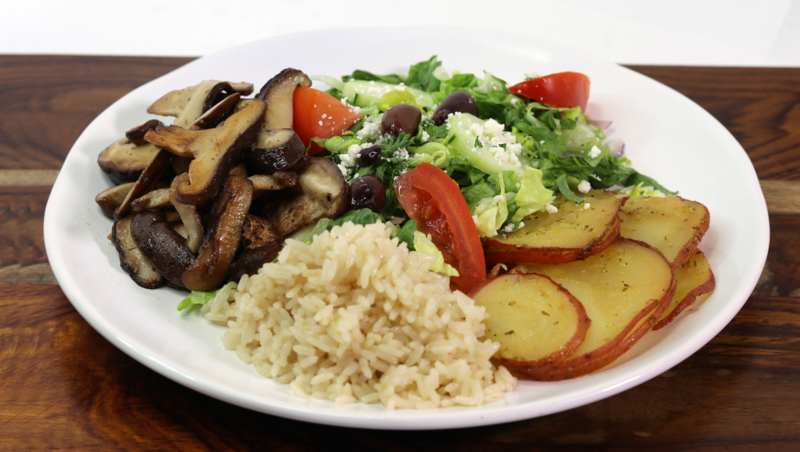 Organic sautéed oyster mushrooms, homemade tahini and eggplant sauces, organic lettuce, Greek potatoes, tomatoes, served atop your choice of lettuce, Greek potatoes, citrus rice. 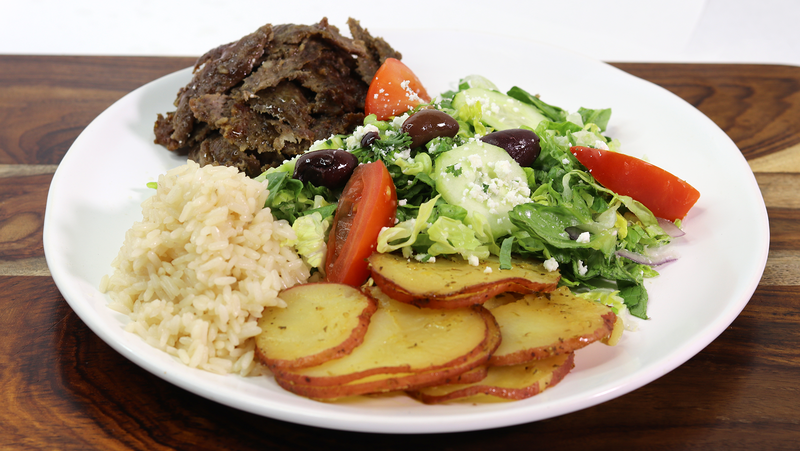 Served with a Greek salad, side of vinaigrette, your choice of Mediterranean Potatoes or Citrus Rice, organic sautéed oyster mushrooms. 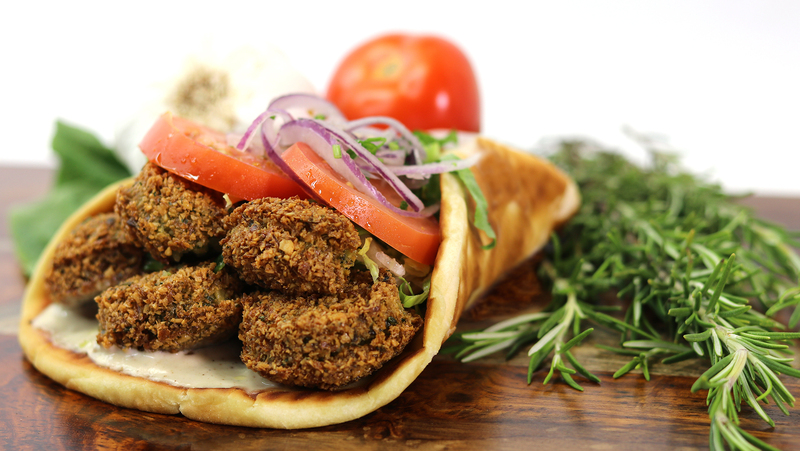 Homemade organic falafels, organic lettuce, tomatoes, red onions, tahini sauce, served on a fresh hot pita. 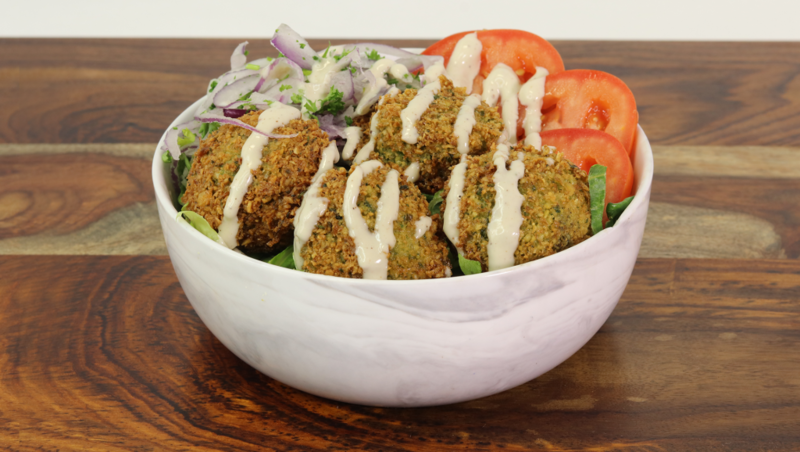 Homemade organic falafels. 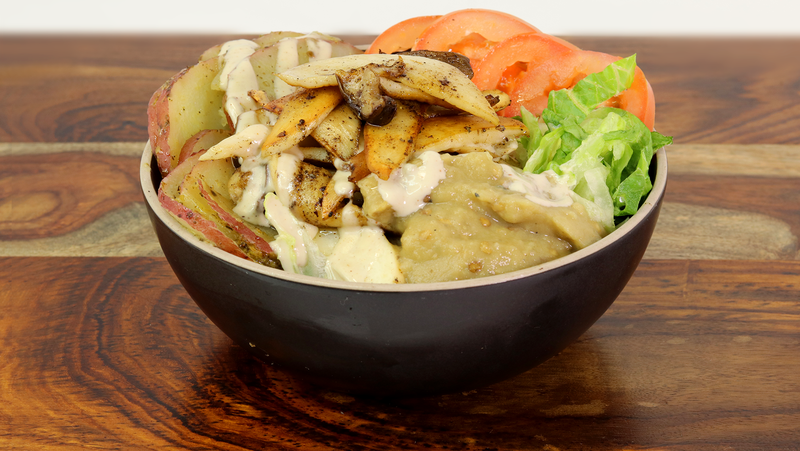 organic lettuce, tomatoes, red onions, tahini sauce, served atop your choice of lettuce, Greek potatoes, or citrus rice. 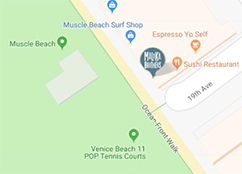 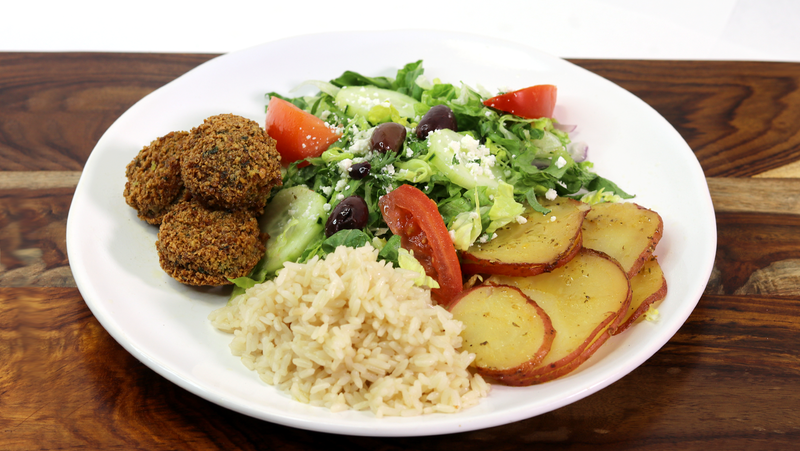 Served with a Greek salad, side of vinaigrette, your choice of Mediterranean Potatoes or Citrus Rice, homemade organic falafels. 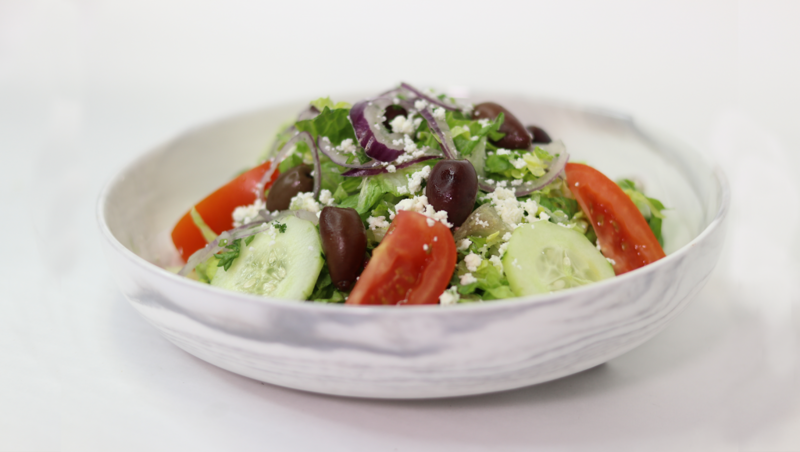 Organic lettuce, cucumbers, roma tomatoes, red onions, feta cheese, Kalamata olives, served with a side of vinaigrette. 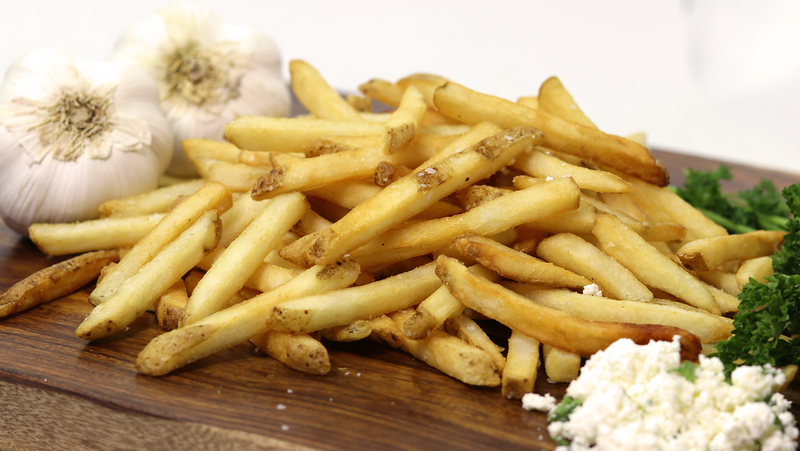 Can be made without Feta. 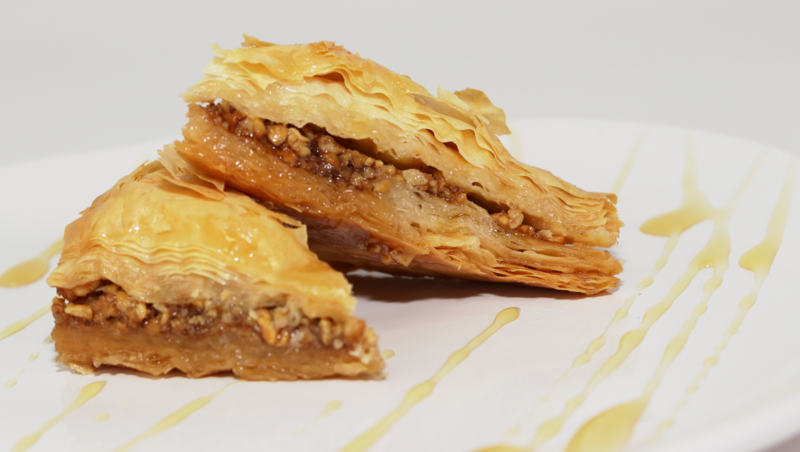 Rich, sweet and flaky pastry made of layers of filo dough, melted butter, filled with chopped nuts and sweetened held together with honey. 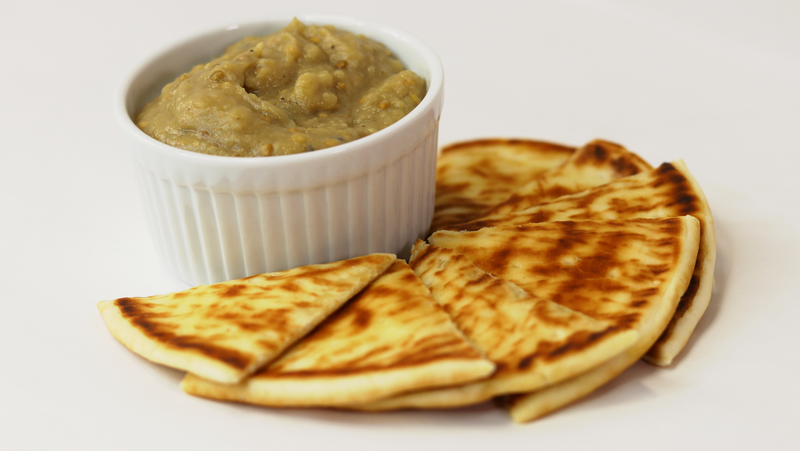 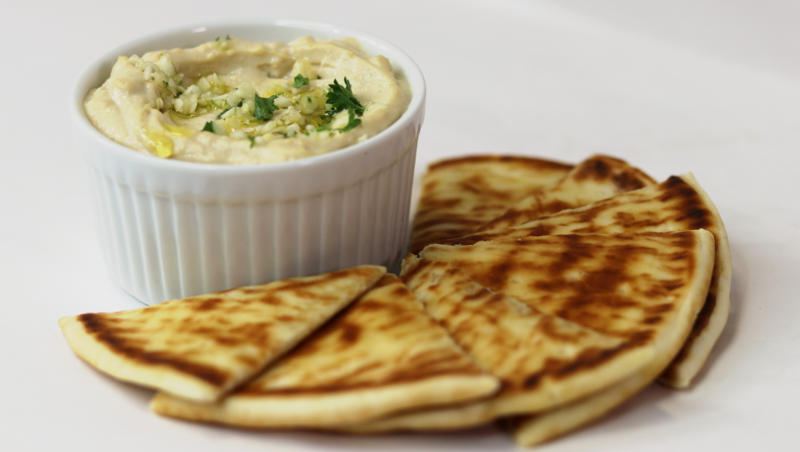 Made from garbanzo, blended with tahini, olive oil, lemon juice, salt and garlic. 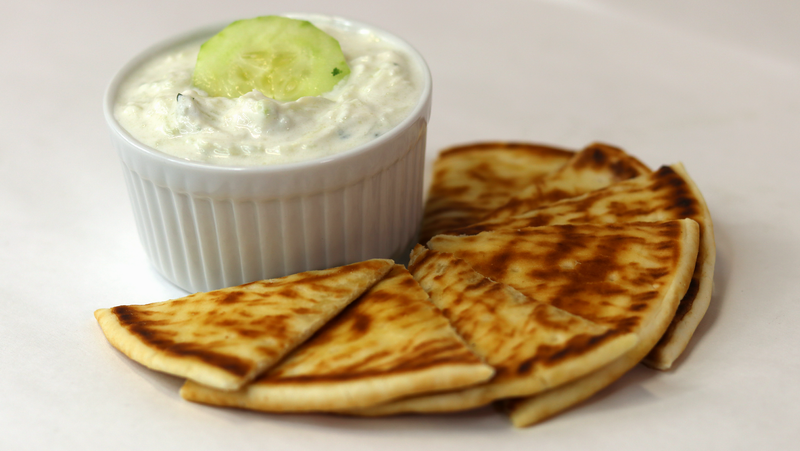 Greek yogurt mixed with organic cucumbers, garlic, salt, olive oil.